Sister Act the Musical is on November 30th so mark your calendars! Or better yet, have a date with the family and go to Uijeongbu Arts Center to watch the first ever musical with a mostly Filipina immigrants cast who are members of the group Akbayang Pinay. 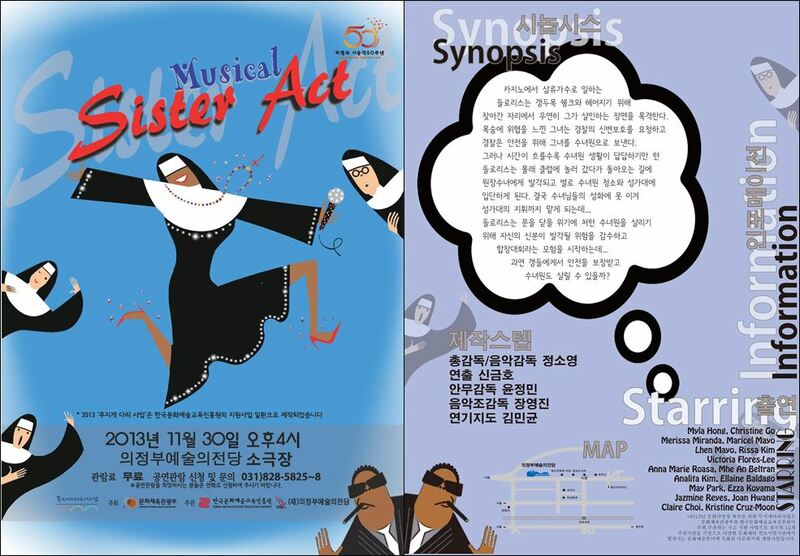 The production of “Sister Act The Musical” that is sponsored by the Ministry of Culture, Sports and Tourism, Korea Arts and Culture Education Services and the Uijeongbu Arts Center will have its play on November 30th at 4 PM. Admission is free and reservations can be made by calling (031) 828-5825 ~ 8. Bring the whole family! I’ve seen a lot of Filipino performances in Korea, but most of them turn out to be mediocre at best. Just seeing the practice videos of “Sister Act the Musical” gave me an impression that this one will be worth anybody’s time. The cast has been practicing since summer with professional stage performers. Remember ~ November 30th at 4 PM at the Uijeongbu Arts Center! 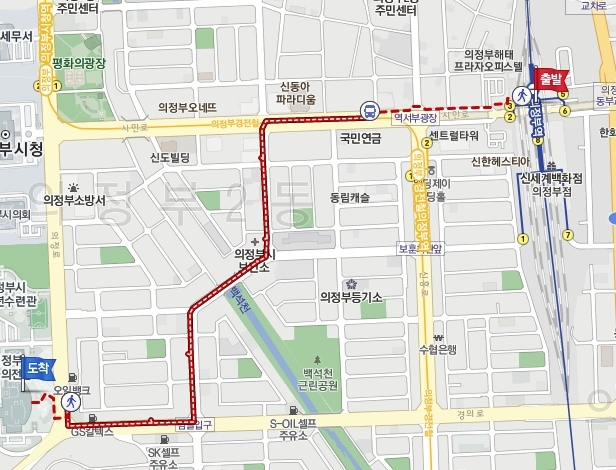 To get to the Uijeongbu Arts Center, just take village bus 207 from Uijeongbu station. The Filipina cast includes: Myla Hong, Christine Go, Merissa Miranda, Maricel Mayo, Lhen Mayo, Rissa Kim, Victora Flores-Lee, Anna Marie Roasa, Mhe An Beltran, Analita Kim, Ellaine Baldago, May Park, Ezza Koyama, Jazmine Reyes, Joan Hwang, Claire Choi and Kristine Cruz-Moon. I dont know where to post, but I am looking for a place to rent. Mag work po ako sa Suha-dong, Jung-hu, Seoul. May filipino community near dito.